The mission of the Native Plant Society of Texas is to promote research, conservation and utilization of native plants and plant habitats of Texas through education, outreach and example. We want all Texans to value native plants, native habitats and healthy ecosystems as essential to the well-being of living things and to our quality of life. Our vision is a future where native habitats are managed as critically beneficial natural assets, and where residential and commercial developments employ sustainable designs that preserve and promote native habitats. Our more than 30 chapters across Texas further the mission of the Society at the community level, sponsoring educational speakers, field trips, workshops, on such subjects as plant identification, propagation and landscaping, work in demonstration gardens and many other types of projects. 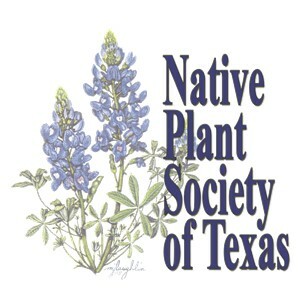 The Native Plant Society of Texas is a 501(c)(3) non-profit organization, funded by membership dues, individual and corporate contributions, and foundation grants and run by volunteers. The Society was founded in 1981 in Denton, following organizational efforts begun by Carroll Abbott and others. The late Ann Miller Gonzalez, wrote about the founding of the Society. To learn more about Carroll Abbott and the early native plant movement in Texas, seeMr. Texas Bluebonnet – the Carroll Abbott Story. Learn more about our Austin chapter at their website.